UPDATE 11/2/17: Get out the smelling salts! One can barely keep track as new revelations from the Hollywood/DC Shocked!Troops come at us like a swarm of flies: Dustin Hoffman! Kevin Spacey! Slimy actors and producers and newscasters most of us have never heard of! 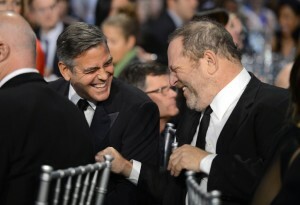 Pedophiles, perverts, punks of all sorts, invariably hanging their heads in sham shame, hoping to absolve themselves with some variation of the standard Liberal repentance. Ah, the Religion of Liberalism and its noble One World goals: the ultimate virtues in their pathetically skewed world…Doubtless gooey gobs more to come. All definitely going on forever and, really, with all these virtue-signalling fingers pointed: who are the good guys in a culture where corruption is the norm? Where’s the final, soul-satisfying scene of “Valley Of The Dolls” for any of these people when the “nice one” in the story resolutely abandons Hollywood Babylon to go back to wholesome small-town roots? Power corrupts and absolute power corrupts absolutely. And anyone minus those supposedly outmoded, “square” internal restraints can be consumed by it. UPDATE 11/1/17: With the Liberal logic that gave his criminal activities cover for years, Harvey now declares himself a “savior” sent to rid the world of rotten creeps like himself. Always look on the bright side of life! I’m sure there’s a pony under here somewhere, says the kid digging through a mountain of horse manure. A profound, poetic expression often invoked by the naturally curious is William Blake’s viewing “a universe in a grain of sand.” Ironically, that expression is apt when describing the decidedly unpoetic Harvey Weinstein. In that gummy clod of rotting slop, all Elite Liberalism is laid bare, as bare as the butts on that roaming pack of that ever-growing number of so-called “innocent, naïve” girls and formerly close colleagues who claim to be either his dupes or victims. They are, rather, his collaborators in a great charade of bad behavior excusable via hypocritical Leftwing politics. To re-state the obvious: do as I say, not as I do or am. Such salacious greed masquerading as the milk of human kindness totally pervades today’s overpaid, over indulged Hollywood/DC axis, a stomach-churning misfortune for any viewer. But rose-tinted glasses are as obsolete here as a buggy whip when faced with such self-exposure. Consider Harvey center stage, hand fully in the…um…cookie jar, his first line of repentant defense a noble vow to fight Trump and the NRA. But…but…but…it bought me cover all these years!!! Wha’ happened?!! “Wha’ happened?! !” is that all Harveys and their usefulness have a limited shelf life. Why now? Because the big SwineStein cash, effective vote bundling and mass magical career advancement have all hit a wall. One makes a major mistake interpreting all the rats deserting the ship as some sort of sea-change in the hoary corridors of entertainment and politics. On the contrary, the rats will re-board in a flash as some new equally corrupt but less embarrassing management takes the helm. There will be no change in American politics that values the individual and freedom on one hand…and longs for a dictatorship of state-run Guaranteed Equality on the other (with certain animals being way more Equal than others. Natch-er-ly.) The question will always remain who has the greatest numbers distributed around this blessed land. (Sorry about keeping the Electoral College after you’ve all gone to so much trouble packing the cities with those millions of permanently dependent Dem votes). The Faithful Left will always be with us. For them, a sinking ship and total degradation is clearly preferable to anything remotely to the Right of Stalin. For them, there is nothing bad or dangerous anywhere to the Left. And based on that, the conniving Baracks and Hillarys and Harveys have operated and positioned themselves accordingly throughout their sorry careers. Note Harvey’s phony apology about coming of age in the permissive “culture” of the 60s & 70s: anything goes, and nothing need be cause for embarrassment or shame. That goes for the vast majority of those suddenly “shocked and dismayed and disgusted,” now turning on their former BFF. Is any one of his most vehement new enemies to to be considered “brave” or “heroic” for suddenly jumping off a bandwagon he or she has profitably ridden to advantage for years? 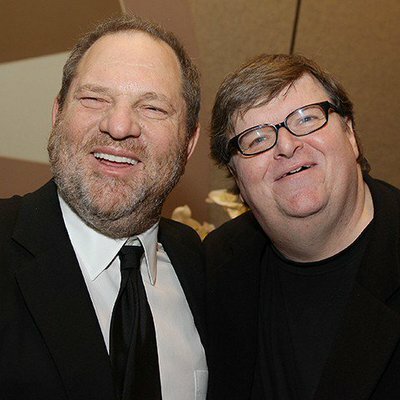 Follow the Weinstein money trail for some of the most despicable Anti-Trumper “heroes” helped along by Harvey hard cash: Michael Moore, anti-capitalist capitalist pig; Quentin Tarantino, avatar of chic violence; “Hamilton” rap fraud Lin-Manuel Miranda. Note the Harvey money trail back to the Monica/Clinton Defense fund and, of course, fat checks to The Foundation. Note the anti-Israel hate ordered up for PLO fans among the American Left. Note Michael Moore’s sickly Communist propaganda “Sicko!” that celebrates the non-existent wonders of Cuban medicine, a rousing, humane call for the brilliant ObamaCare! Largely financed by someone who, pictured alongside Moore, makes him look…well…makes one think one is seeing double ugly. Vertigo, constant nausea and blurred vision, has the same symptoms. Argh! Michael tweets sweet in the old days on Harvey: “Actually Harvey Weinstein is one of the best people to work with in this town.” My kind of town, La-La Land is…. One must hand it to him: he has had his finger on the seamy Clinton/Obama Zeitgeist pulse with a sop of high cultural pretension thrown in (“Shakespeare In Love,” “The King’s Speech”) for those millions of ticket-buying Deplorables uncomfortable with gangsta rap and a Hillary Presidency. But the overriding impulse has always been the boringly predictable Anti-Americanism barely under the surface of most Big Gov pols and Hollywood notables like himself and virtually all of his virtuously “woke” detractors. But thanks for the millions of capitalist dollars and the privilege of spouting off daily swill to a slavish media! Which brings us to the good news. Has anyone noticed that that most conniving of Harvey Girls Hillary… lost? 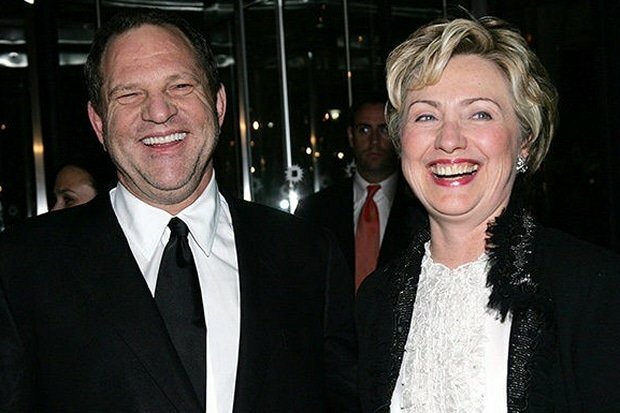 And that her co-conspirator Harvey is dead meat. 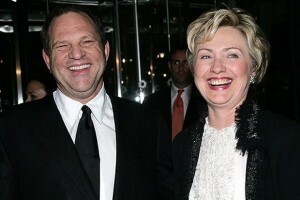 Proportional to the distance she and her ilk claim to put between themselves and Harvey is the extent to which they have been and continue to be all “birds of a feather,” “peas in a pod,” “midget cannibals at home in a fat man’s ribs.” One need not go near to know that the stench is identical coming from all quarters. The vigilance (and holding one’s nose) continues.